Is this a foreshadowing of what happened to the World Trade Center Twin Towers terrorist attacks? 1) Where are the black boxes? 2) Why did building 7 imploded? 3) Why the Bush administration took so long to investigate the attacks? 4) Why Norad conducted those military exercises the same day of 9/11? 5) Why Bush & Cheney refused to be interrogated under oath? 6) Why did the plane that hit the WTC looked like a military plane and not a commercial plane? 7) Why did the buildings collapsed so fast? 8) Why we didn't see any parts of the plane that hit the Pentagon? 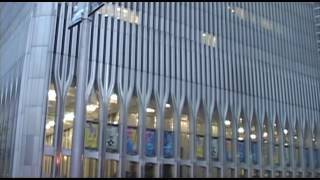 Watch and download World Trade Center Twin Towers foreshadowing never before seen footage New York video clip.